Prop Seb Adeniran-Olule died in a car accident on Monday at the age of 20. Harlequins director of rugby Conor O'Shea has paid tribute to the late Seb Adeniran-Olule. HARLEQUINS COACH CONOR O’Shea admitted that his team would attempt to put emotions to one side when they take on Montpellier in the European Challenge Cup on Friday following the death of academy player Seb Adeniran-Olule. Prop Adeniran-Olule, an England U20 player who had made three first-team appearances for Quins, including in this season’s European Challenge Cup pool game against Italian side Calvisano, died in a car accident on Monday at the age of 20. “We’ve had a difficult week this week,” acknowledged O’Shea, who will leave Harlequins for Italy after the Challenge Cup final in Lyon. “We had a poor performance last week (losing 62-24 to Exeter), I mean we’ve done so much this season and we lost momentum, and obviously what happened on Monday was heartbreaking for everyone in the club. While an emotional element has been added to the spice of a European final, with a minute’s silence to be held and black armbands worn, O’Shea was confident his squad could control its intensity. That is emotional, but we have a group of experienced people used to emotion. It’s a final they want to enjoy and put on a performance for their own supporters and each other. They’ll be playing for huge motives tomorrow. Quins skipper and England scrum-half Danny Care added: “Seb was a great lad and one that will be sorely missed. We owe him and we owe ourselves a good performance. O’Shea insisted that Jake White-coached Montpellier, loaded with a healthy dose of South African heavyweights, were odds-on with the bookmakers. “Oh, we’re not the favourites!” the former Ireland back laughed. “But we’ve got a great group of players. “This team is capable of unbelievable performances,” he said, lamenting his team’s drop down to seventh in the English Premiership after a dip in form since the new year. Montpellier under Jake White have recruited an incredible squad, but I think any rugby player loves a challenge and if you look through the spine of our team, there’s too much experience to let emotion take control. 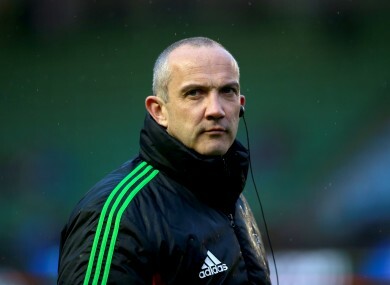 O’Shea, who has led Quins to Challenge Cup glory in 2011, the English Premiership title a year later and the LV=Cup trophy in 2013, said he had no regrets moving on to take over from Jacques Brunel at the head of Italy. I’ve had a great six years,” he said. “I’ll miss it hugely… but I’m proud of the six years I’ve had here. Email “Quins riding emotional wave after academy player's death - O'Shea”. Feedback on “Quins riding emotional wave after academy player's death - O'Shea”.